I hope all your chocolate bunnies are solid, your conversation is lively, and the food is delicious. Happy Easter Everyone! A blast from the past. 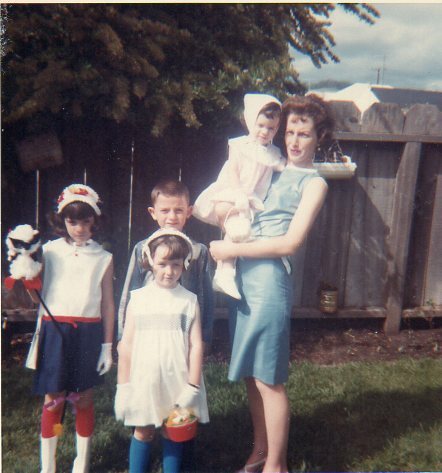 This is Easter morning around 1967. I’m the youngest. Epson Perfection V550 Photo Scanner Scans Negatives, Too!